DiBi (Design It; Build It) is a one-day conference for UX designers and web developers. Taking place on November 12, 10:00am to 4:00pm, the event will feature eight presentations from industry leaders who are shaping the future of the web. 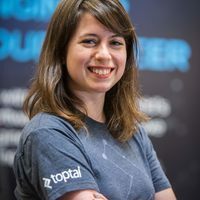 Toptal designer Jenny Shen will take the stage at 1:00pm with her popular talk on Design For Users Across Cultures. As Internet access expands to the far corners of the world, UX designers have the chance to see their work used by millions of people worldwide. To create products for international users, we must be aware of the full range of human diversity with respect to language, culture and other forms of human difference. Jenny will share how to gain better awareness and thus build better products.